This is a guest post by Dianne Sivulka. We love visiting National Parks and try to visit a few each year. California is fortunate to have nine National Parks, more than any other state. 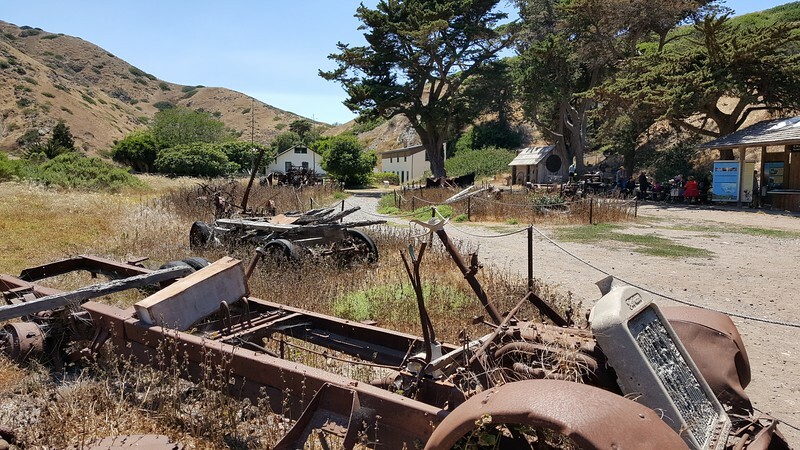 Visitors to California often choose Yosemite or the Redwoods, but fewer people venture out to the Channel Islands. Perhaps that’s because of its location, a group of islands off the Southern California coast, or because the only way to get there is by boat or plane. 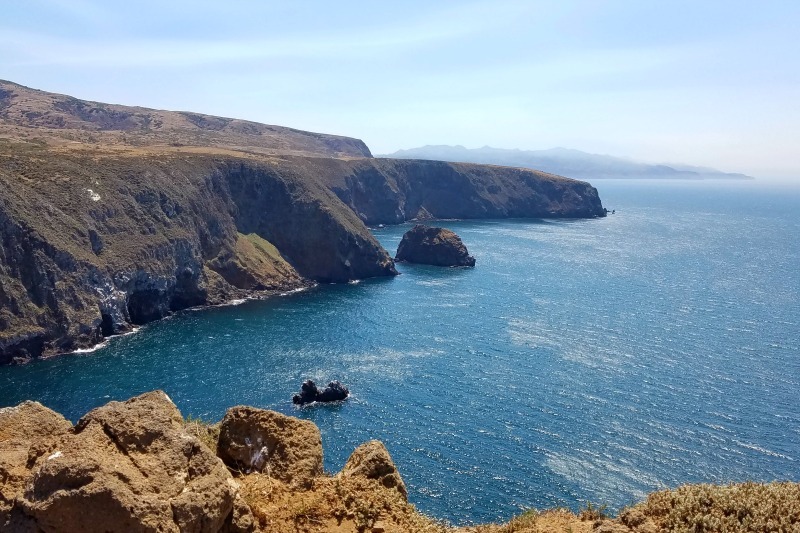 This year when we were deciding which National Parks to visit, I decided it was time to finally make the effort to get out to Channel Islands National Park. I’m so glad we did! 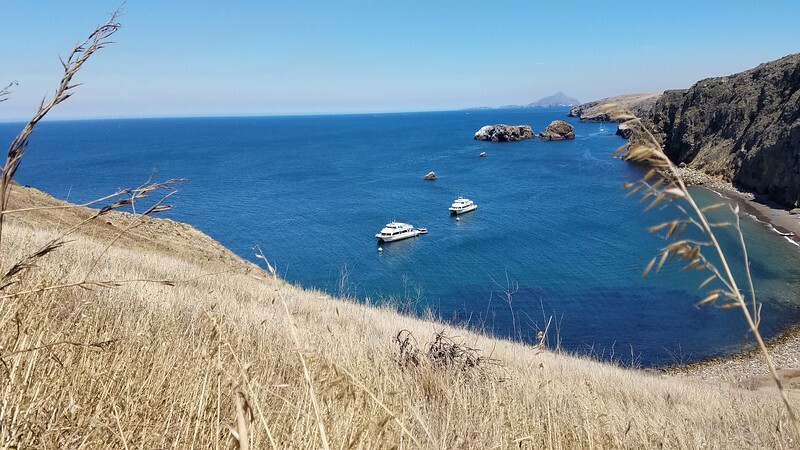 The Channel Islands National Park was established in 1980 and it consists of five different islands: Santa Cruz, Anacapa, Santa Rosa, San Miguel, and Santa Barbara Island. 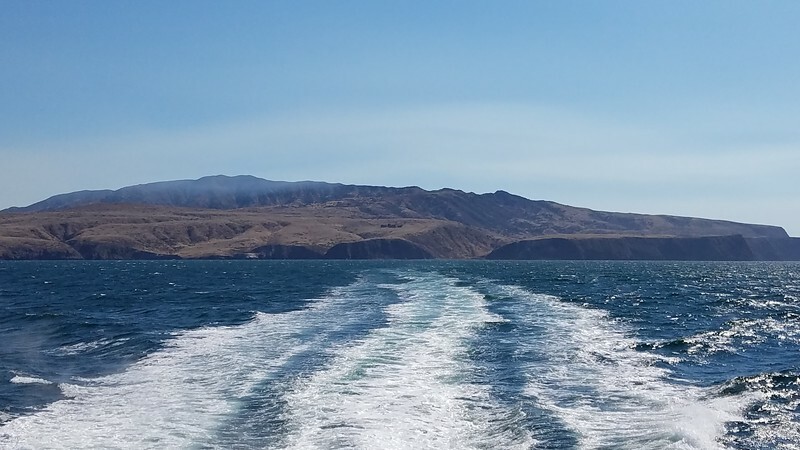 We chose to explore Santa Cruz Island because of its close proximity to the mainland, only a one-hour boat ride away. 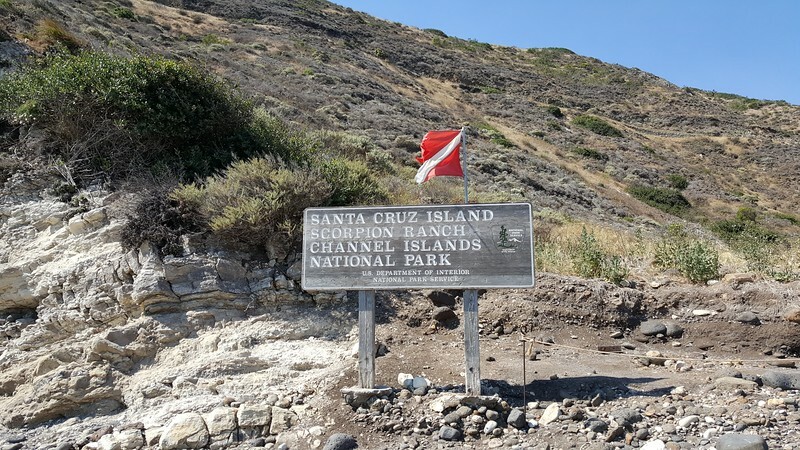 Santa Cruz Island is known for its diverse flora and fauna, craggy cliffs, sea caves, and cultural history. We planned to kayak, hike and picnic, and hoped we would spot the unique island fox. 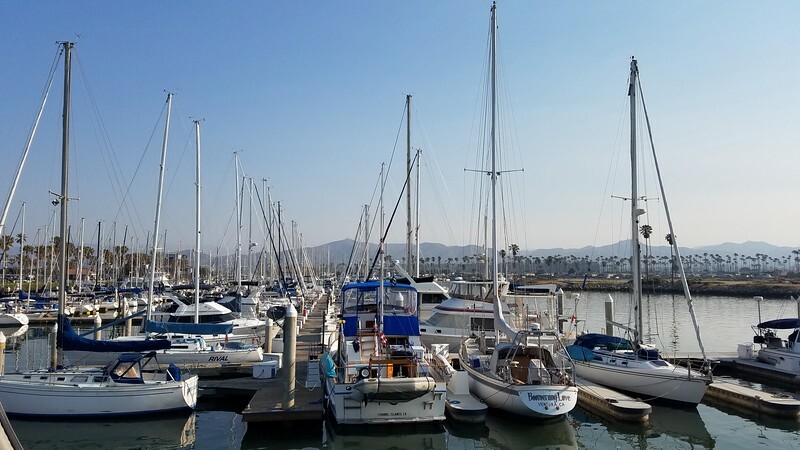 We met in the Ventura Harbor at 7:30am for our boat ride out to the island. We had booked a trip with Island Packers, the official Channel Islands tour operator for travel to Santa Cruz Island. We brought along our picnic lunch, clothes suitable for kayaking and hiking, and lots of sunscreen. We arrived at Scorpion Anchorage, the bay that would be our base camp for the day. We made our way to the beach by rubber skiff since a recent storm had taken out the pier. We didn’t mind as it added to our adventure. 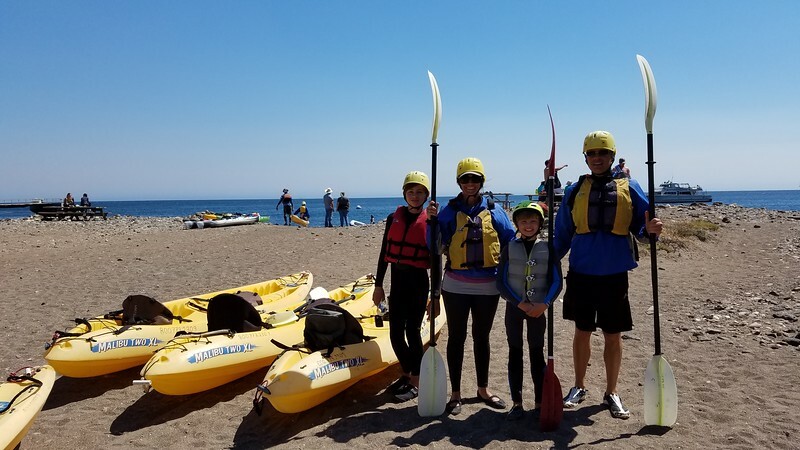 Once on land, we met up with our kayaking group for a quick lesson on paddling and safety. 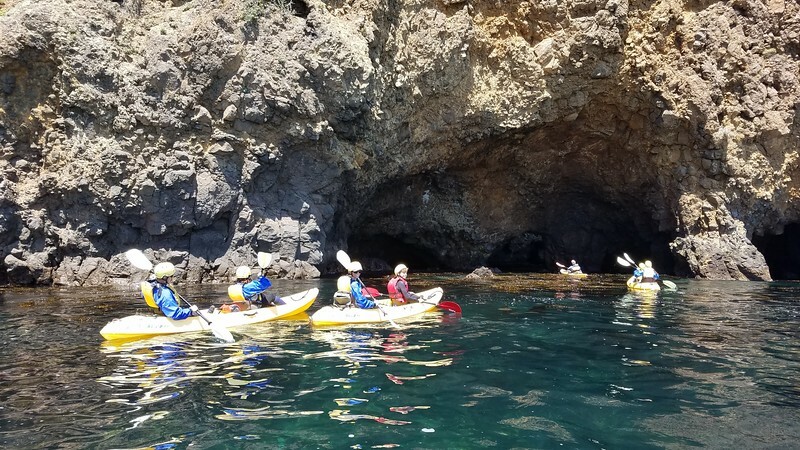 We spent about three hours kayaking over kelp forests, along the rugged coastline and were even able to enter eight different caves. Our guide was an enjoyable man in his 60s who provided a great education about the animal life, plant life and geology of Santa Cruz Island. Once back on land, we changed into dry clothes and enjoyed the picnic lunch we have brought along. There are no food services on the island and you must bring everything you will need including water. There are also no trash cans on the island and you are expected to carry out everything you carry in. There are port-a-potty type bathrooms and a changing area. We toured the small settlement at Scorpion Ranch including the ranch house and visitor’s center. 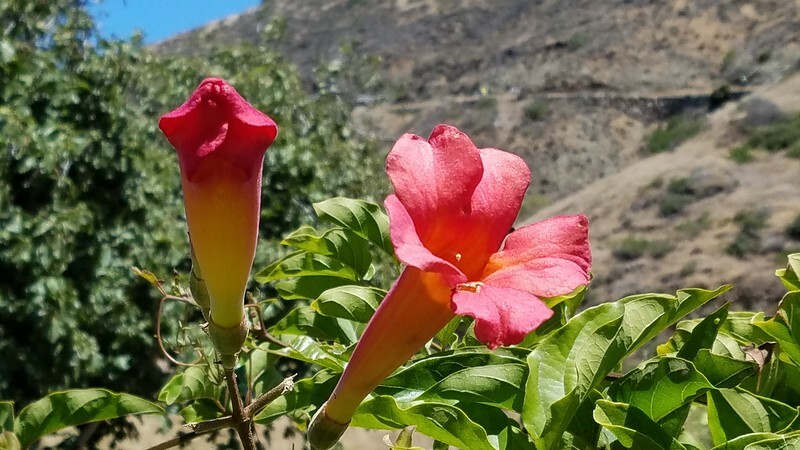 The Chumash were the first inhabitants of the islands, but later they relocated to the mainland when the Spanish missionaries were building missions along the California coastline. Sheep ranchers settled the islands during the early 20th Century. Then we were ready to set out for a hike. We chose the Cavern Point Loop, a moderate 2-mile hike. The cliff-top views were spectacular. 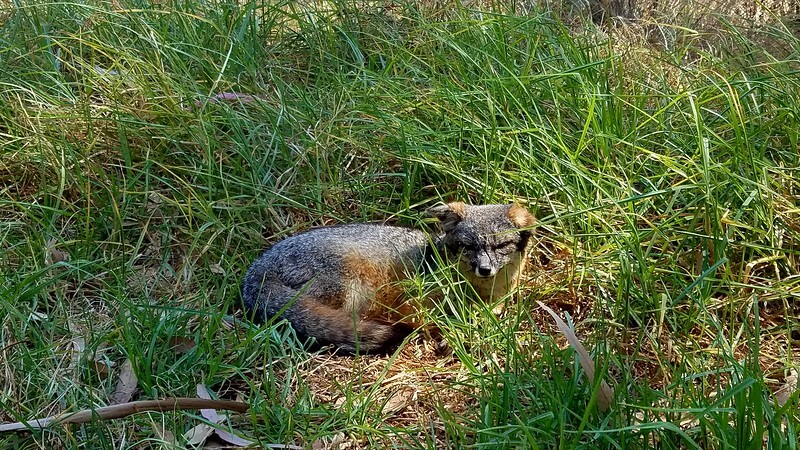 We were hoping to see an island fox and we did! These little guys are one of only four terrestrial mammals that call the Channel Islands home. They are found nowhere else on Earth. We spotted a few curious foxes near the campground scrounging for food. Our boat ride back to the mainland departed at 5:00pm. After a full day in the sun, we were glad to just sit back and relax allowing the sway of the boat and fresh ocean air to nearly put us to sleep. 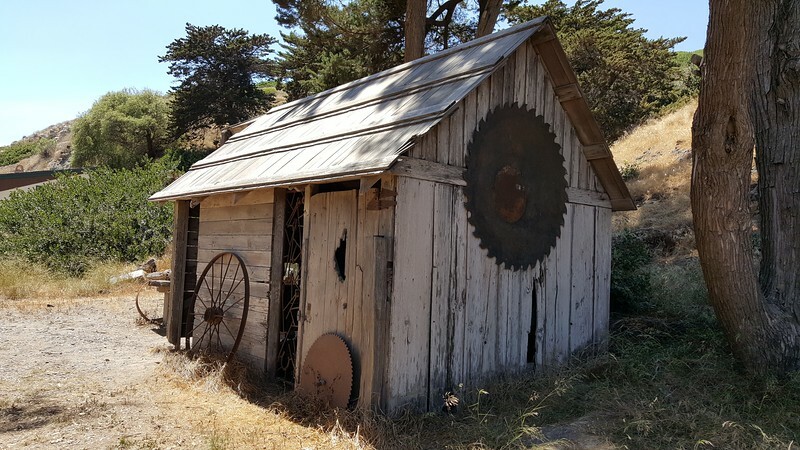 We enjoyed the cool breezes and memories of a fun day on Santa Cruz Island. Dianne Sivulka is a former teacher who became a stay-at-home mom of two boys. She and her husband soon realized that having kids didn’t mean that travel had to end. Together they have visited 25 countries and still have a lot more they’d like to see. She keeps busy with homeschooling, planning the next family journey and sharing educational travel tips at her blog, Our EDventures. You can follow Dianne on Instagram, Twitter, or Pinterest.